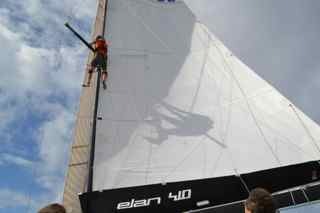 Nils got the honour to climb up the mast and check out if there were any more damage. Thumbs up, everything was ok! 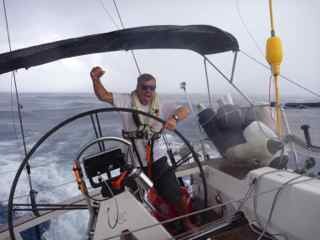 You can tell that we were pretty surprised by the squall as Johan is still only wearing his underwear being abruptly woken up to handle the broach. 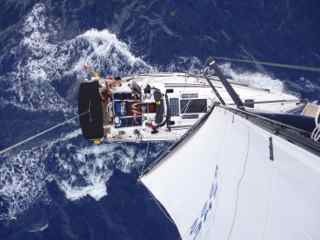 Once we pulled ourselves together we set our 2nd spinnaker. The sailing was smooth and we had to manage navigation and sailing without any wind instrument. 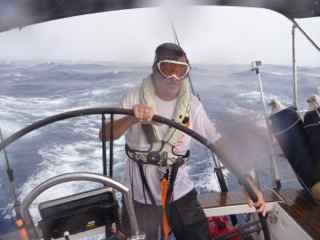 That night Olof was stearing, the wind blew at approx 15-18 knots and the sea was relatively calm. At around 22h00 we heard a big band and the spinnaker fell down. 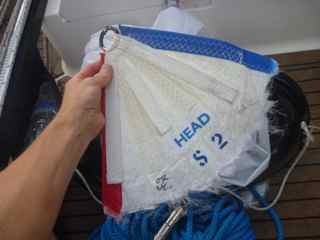 Undramatically the halyard had loosened. We managed to bring in the spinnaker and found this…. …. due to share och too weak sail? This meant 2 spinnakers out of service within 12 hours. 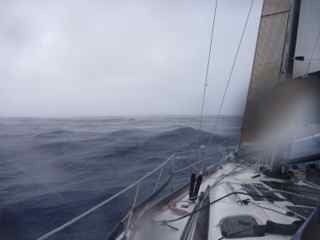 Luckily we had a 3rd spinnaker! However it is spinnaker for very light winds, 0,5 mm and considering the very strong winds earlier we were not quite sure this one would hold. 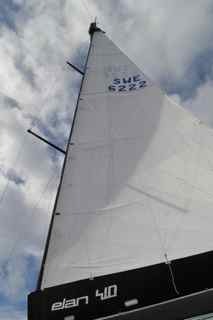 However if we had to bring 2 spinnakers to the sailmaker, just as well bring along the third one ;-). So we went for it. We had now reached down South after taking a strategic decision 4 days earlier which then showed to be a winning one! 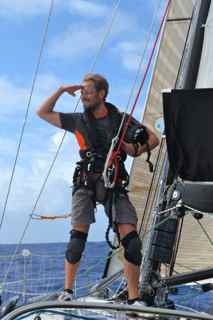 We dived South to meet up with wind change and have a better angle towards St Lucia. This gave us a 3rd place in Division D passing Ellina6 and BombyX who arrived 7 hours after us.